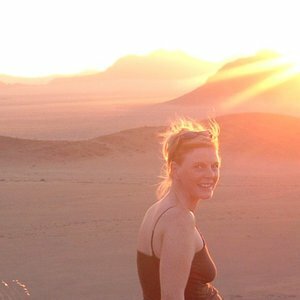 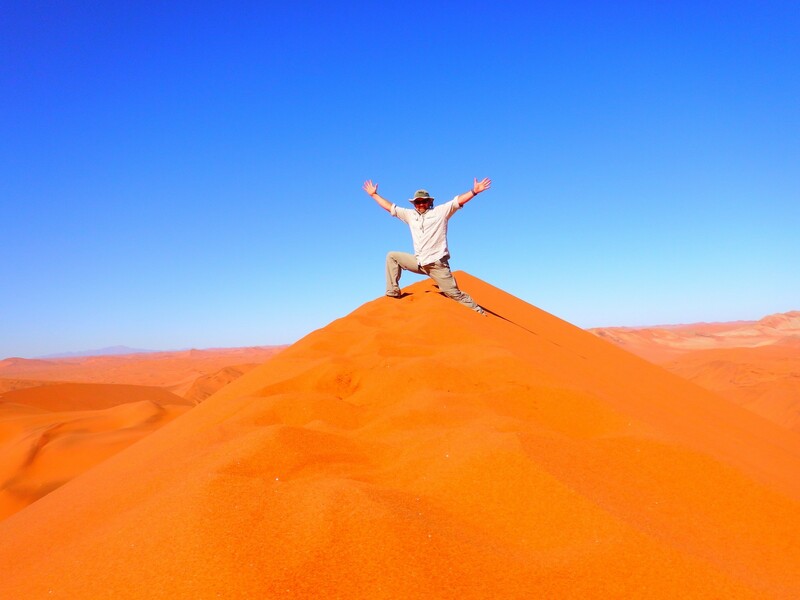 The towering orange dunes of the Namib Desert are by far one of Namibia's most iconic sights. 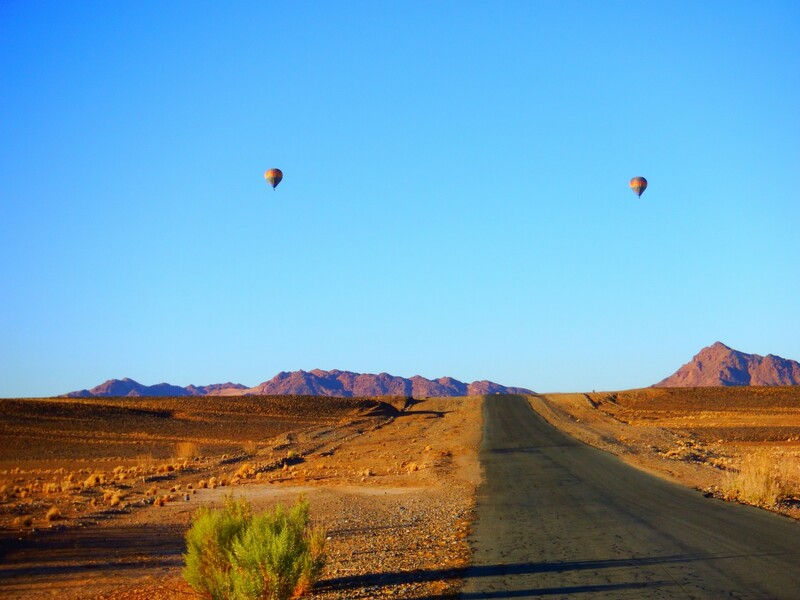 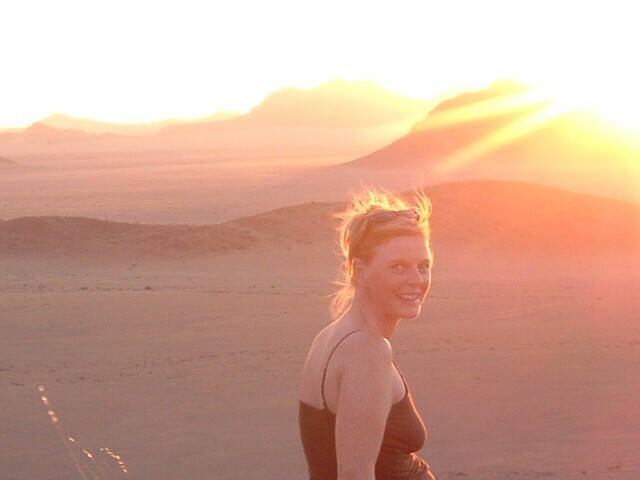 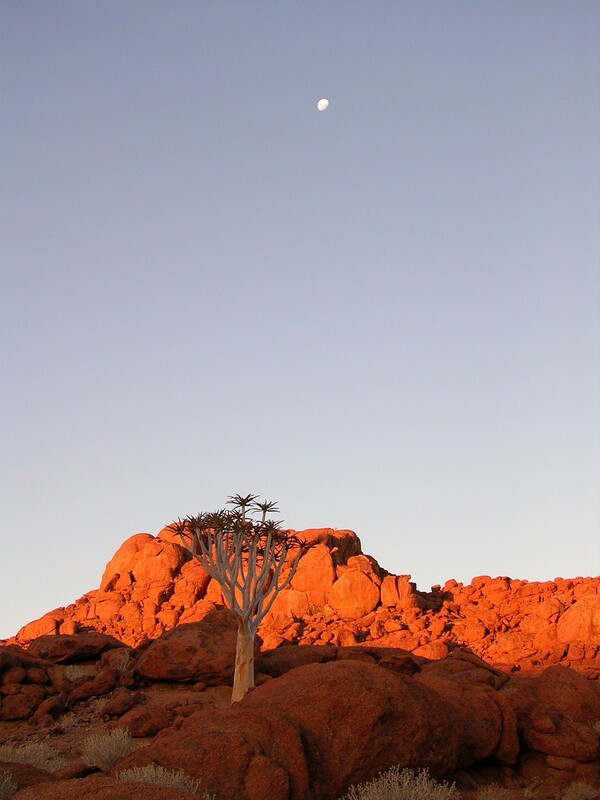 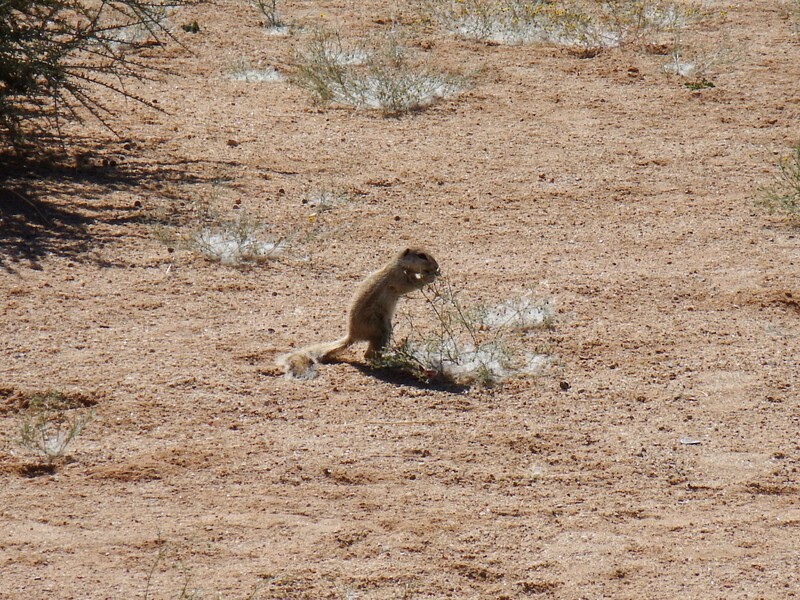 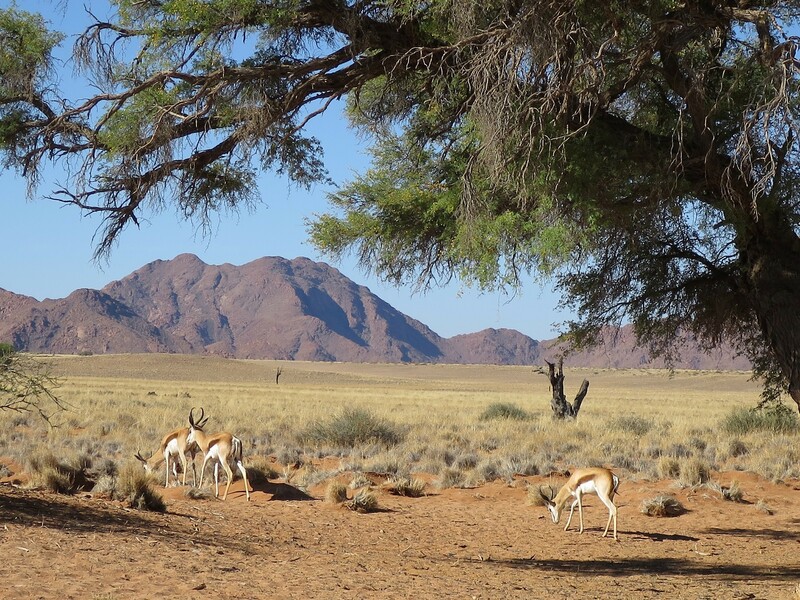 Namib means, vast place in the Nama language, an apt description of this sprawling, arid landscape. 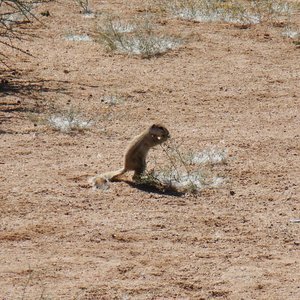 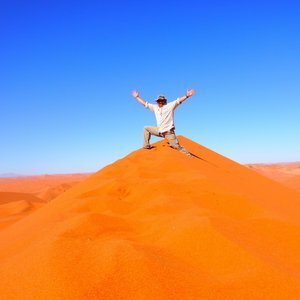 This, one of the world's oldest and largest deserts, is a sweeping dune-scape of shifting sand and stark, rocky landscapes. 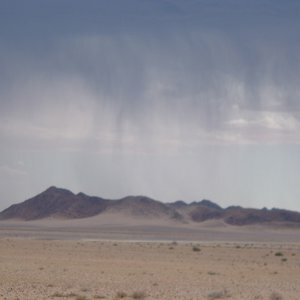 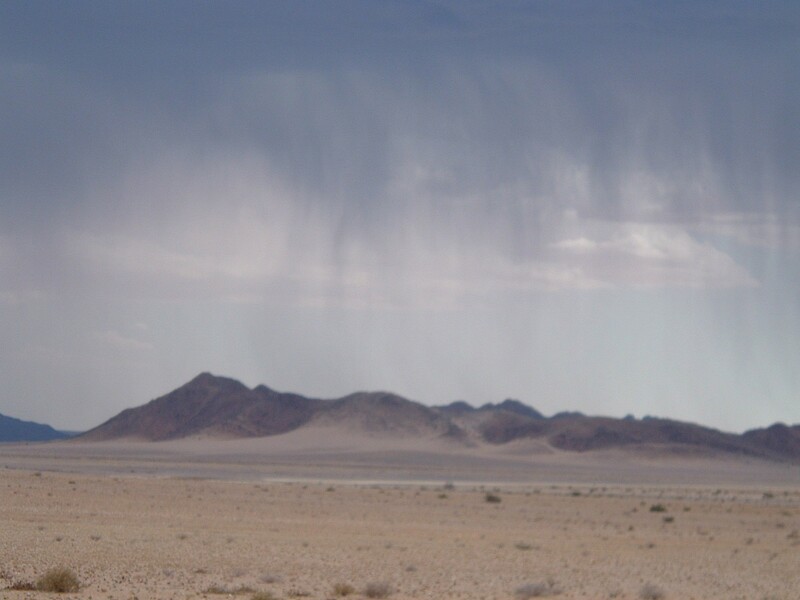 The fauna and flora of the Namib Desert have adapted to these unforgiving conditions where moisture is largely derived from the early morning fog that rolls in off the ocean along the Skeleton Coast. 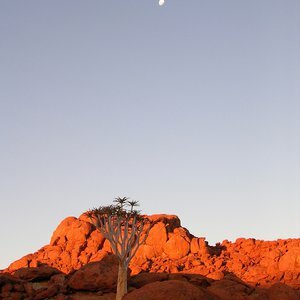 A number of unique species that are also endemic to the region can be seen here, like the strange and alien-looking Welwitschia plant, while other hardy animal species like the ostrich, kudu, gemsbok and springbok, and in some areas, the desert-adapted elephant can also be seen. 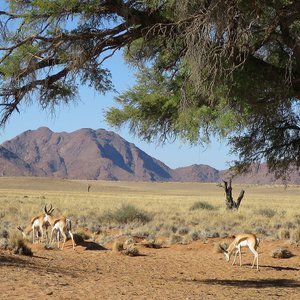 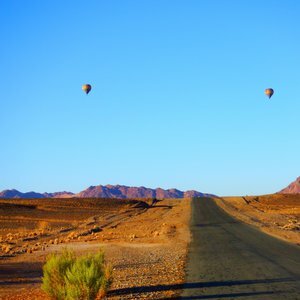 A large portion of the Namib Desert is protected by the Namib-Naukluft National Park, and while most regions are inaccessible, some areas of the park are perennially popular, including the Moon Landscape, the dramatic Sesriem Canyon, and Sossusvlei. 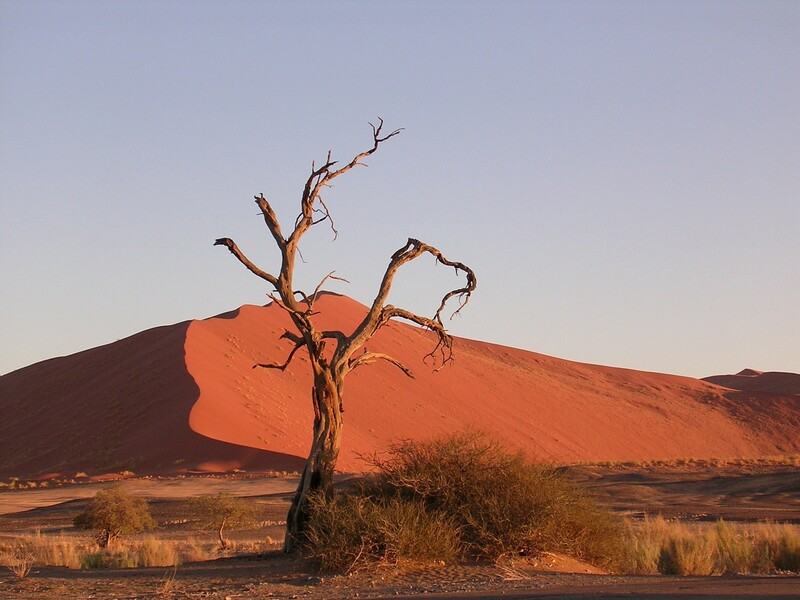 One of the most visited regions of the Namib Desert is Sossusvlei dunes, which owe their spectacular red and burnt orange colours to the presence of a high iron percentage in the sand. 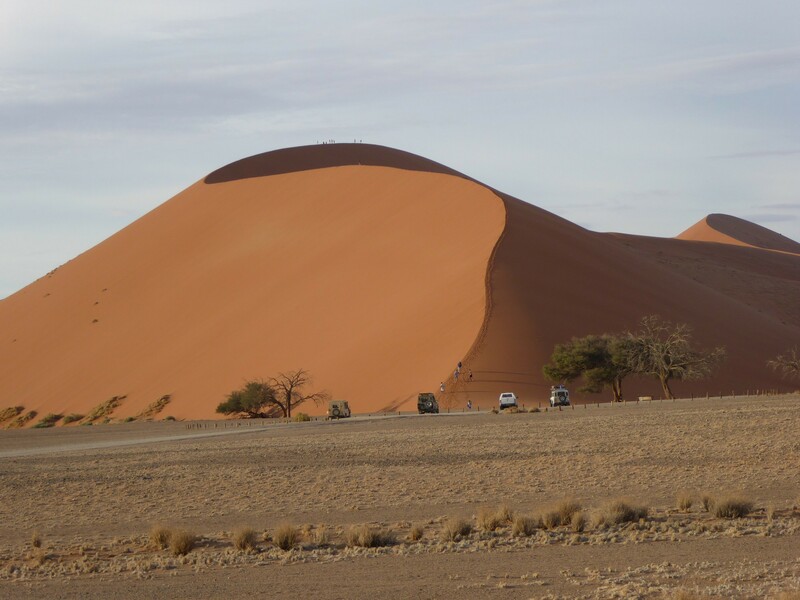 Some of Sossusvlei dunes are the highest dunes in the world, reaching heights of around 380m. 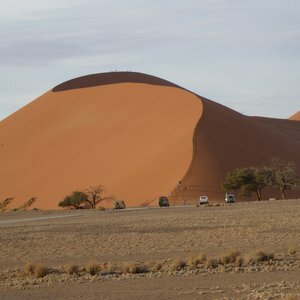 One of the most photographed dunes, Dune 45, is also one of the easiest and most accessible dunes to climb, offering spectacular scenery from the top. 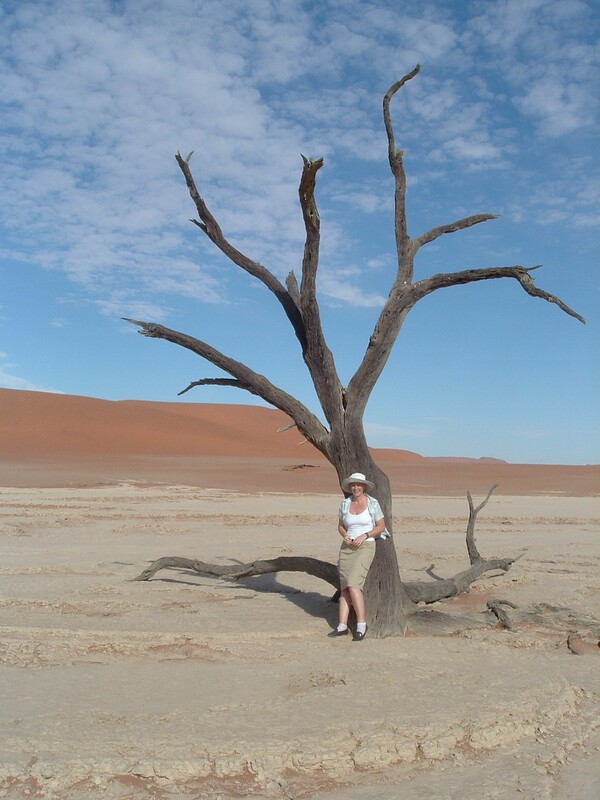 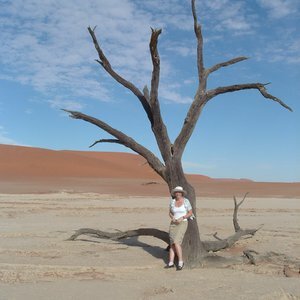 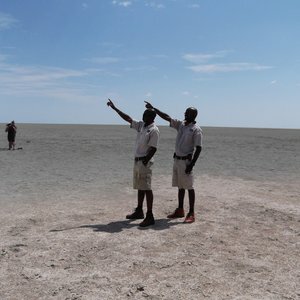 Close to Sossusvlei is Deadvlei, another desert safari attraction. 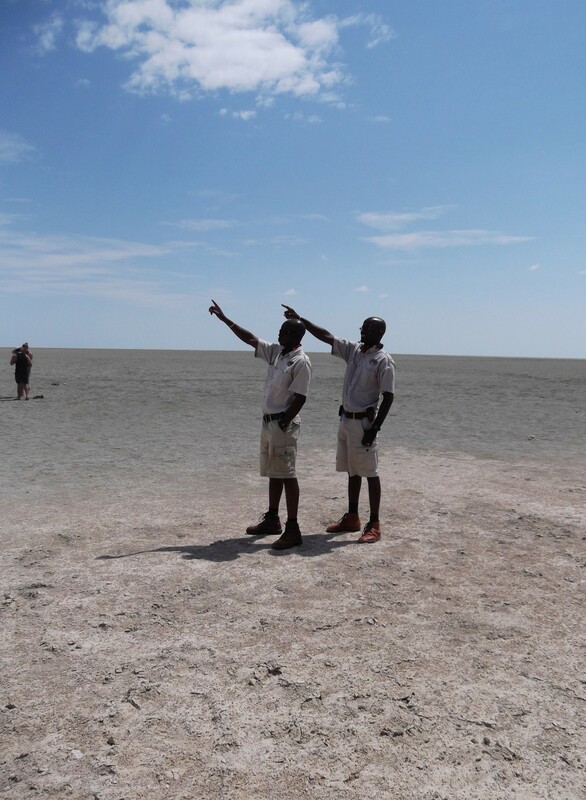 This shimmering salt pan was once an oasis with several large acacia trees. 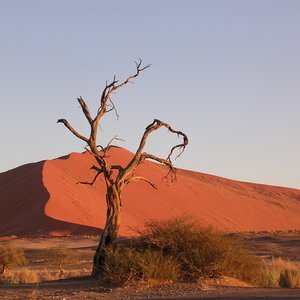 The river that fed this oasis has since dried up, leaving the remains of these blackened, dead acacia trees to stand hauntingly in contrast to the white of the salt pan and the burnt orange of the dunes.